It’s no secret homebuyers begin their search online, so having an easy-to-use, intuitive platform is as important as ever. Users want a customizable search so they can find their dream home in the right school district, with the right schools and for the right price. 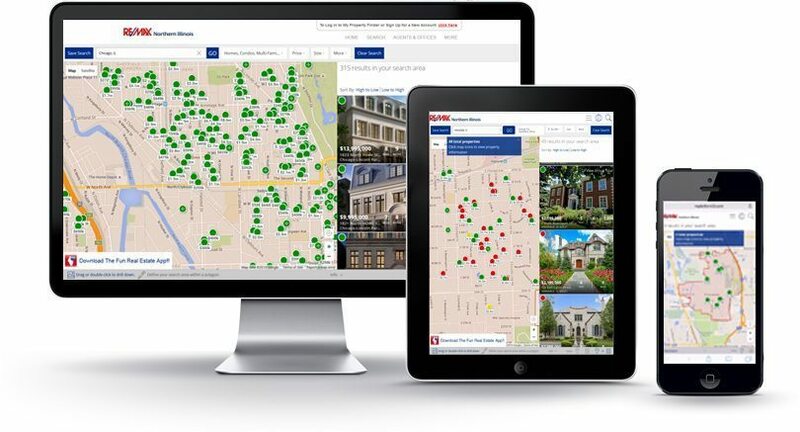 Re/Max Northern Illinois recently launched its new search interface slated to provide homebuyers with all the features they are looking for and more. The new design is fully responsive and touch-friendly for accessibility on multiple devices. 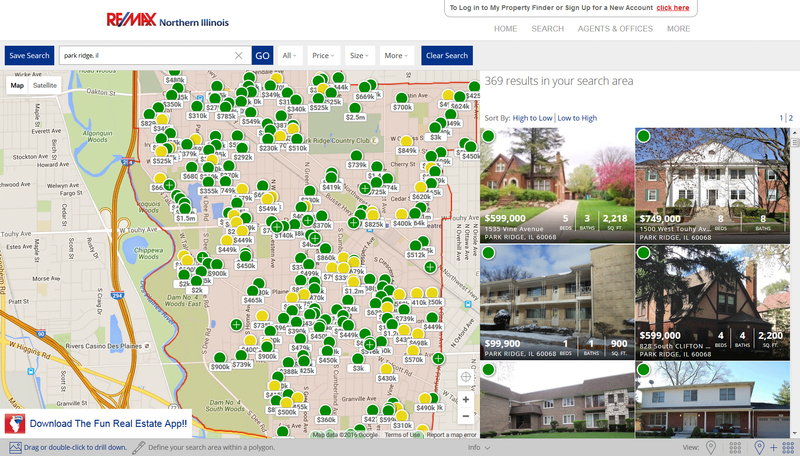 Illinoisproperty.com now features a custom draw search zone and option to toggle back and forth between a map and list results page. The site also has capabilities for users to flow freely between a desktop and mobile device with a GPS search for on-to-go homebuyers. The search results page populates with a split screen. Once you click on a home to the right, a drop-down menu appears with more information and the option for more details. After clicking on a dot on the left, the right side bar will scroll to the specific listing. After clicking on a listing, a page pops up with images and icons to get more information, schedule a showing, go on a virtual tour, favorite the listing or see a market report. Click out of the property listing page and the search is still active and in the same spot as before. 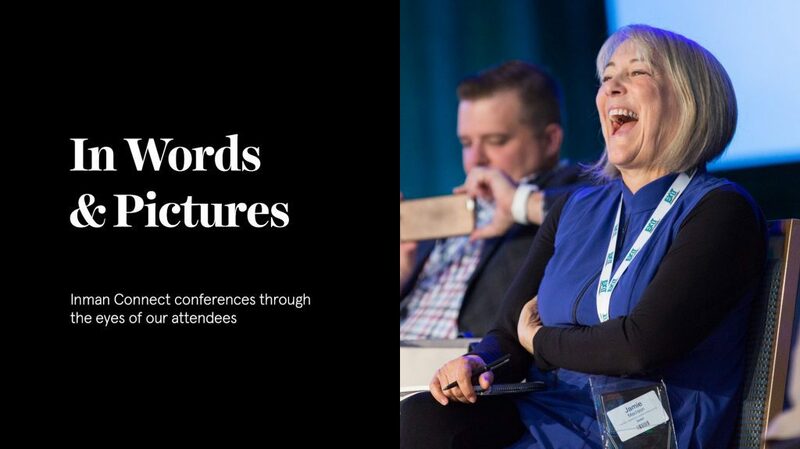 “Great attention was given to the design and ergonomics to help ensure we delivered a broker powered search that is competitive with the leading sites on the market. We would like to thank our partners at Reliance Network who were diligent in helping deliver this next generation of real estate search,” said Casey Reagan, chief technology officer for the Re/Max Northern Illinois network. This is the first in many technology changes expected from Re/Max Northern Illinois. The brokerage is planning to expand its home search platform later this year with features such as enriched school data, home value information and commute time search. The thousands of office and agent websites run through Re/Max Northern Illinois will also recieve the website upgrades as a part of the launch. A full CRM system comes a part of the package deal to provide agents and offices with the tools they need for success. A private branded version of the mobile app is also included. “We understand the strategic importance of achieving what our industry needs today, particularly with device agnostic, mobile responsive technologies.” said Sean McRae CEO of Reliance Network.